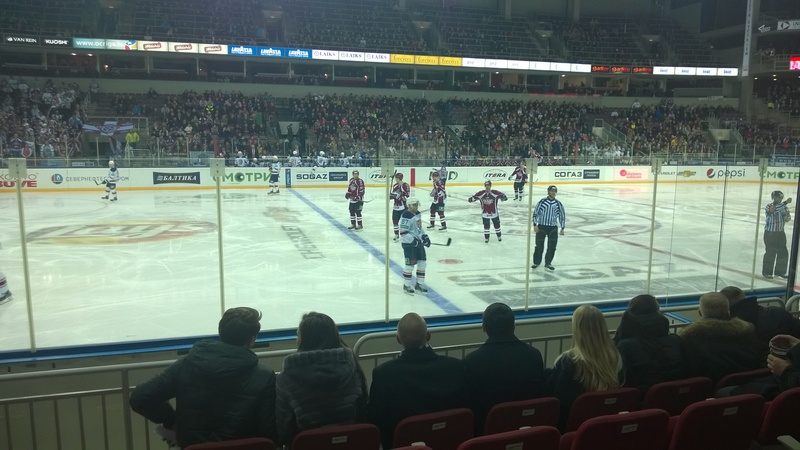 This entry was posted in Latvia and tagged ice hockey, Riga Dinamo. Bookmark the permalink. Hi. I have discovered your blog and read with interest. I have a Latvian partner who lives in Riga (I reside in Birmingham, UK) and in July, she will move here for an initial 6 months to see if she likes it. Hopefully, she will. If not, it has crossed my mind whether I could happily live there. Having been there I can vouch for it being a lovely City with some nice people. One issue for me is… work. Where could a non-Latvian speaking Englishman find work in Riga? We are in EU man, pretty much everything here works well and we are heading fast to Scandinavian status, so i guess the only thing that matters is your profession and skills! It just depends on your profession and skills, i guess. We are in EU and everything works well here. Ok, i mean you wouldn’t find a job in a shop or customer service(if that requiers Latvian language) but in any international company- easy game I guess.. Rob, I guess you should not be concerned about this. There are plenty of international companies that have business in Latvia or they serve clients in other countries in Europe and Scandinavia, some do that also for US etc. Just let them know about yourself and be ready to accept remuneration that will be very competitive locally but do not expect the same you might earn in UK, except in cases you might take e really good position due to extreme skills. I am working at one of such companies – Runway SIA. We would be happy to have more native speakers of any Scandinavian language or English as there are plenty of positions opening up all the time. It is always nice to experience something new in a foreign country. It sounds like you had a really great time I have been to Riga twice during long layovers and loved the Old Town. Too bad I did not have the opportunity to go outside the city as I would have liked to see the ‘real’ Riga. When I asked the tour operator for advice he said “there is nothing to see, just 12 storey buildings. You do not want to go there!”, but I did want to go. Anyway, in the end I did not go anywhere beyond the city center. I hope you have an enjoyable 2015.